BJP government is going soft on the people harassing poor Hindus in the name of cow protection, Mayawati said. BJP government is going soft on people harassing poor Hindus in the name of cow protection, she said. Lucknow: BSP chief Mayawati today said that "criminal elements in saffron brigades" were targeting poor Hindus in the name of cow protection while the BJP government of Uttar Pradesh was trying to protect the culprits. 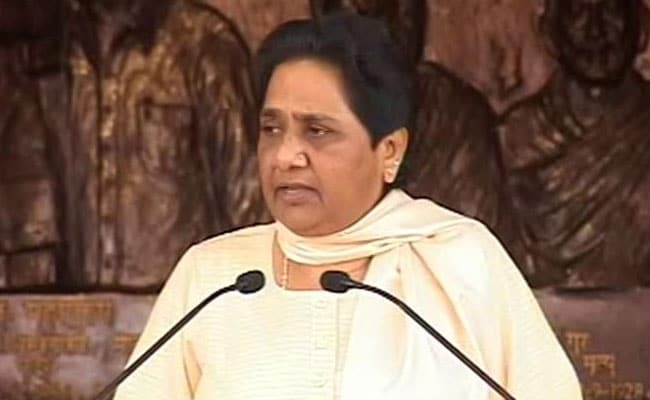 "Anarchy is being spread in the state in the name of Hindu Yuva Vahini, but even after knowing this the BJP government has failed to act against the culprits," Mayawati said. It seems the BJP government is going soft on the people harassing poor Hindus in the name of cow protection, she said. In a meeting with party's Uttarakhand unit leaders, she said the political and social situation in the neighbouring state is similar to that of UP. Poors, Dalits and other backward castes people are facing atrocities and step-motherly treatment in Uttarakhand and this is happening under the patronage of the government, the BSP chief alleged. She also said that the recent police raid at Gorakhpur MLA Vinay Shankar Tiwari's house was "politically motivated".